Finding Pop Rox is like hitting a gold mine. No, not the candy. Rather, the strain that is famously exclusive housed only in a private vault in Las Vegas. Moreover, only one dispensary in Nevada has it in its dispensaries. Once ahold of, however, enthusiasts immediately understand why it is sought after. 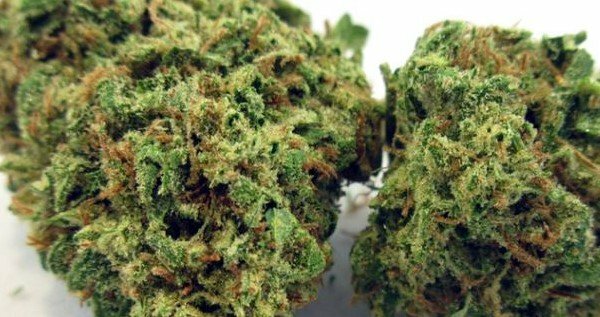 Its buds sparkle with thick trichomes while its buds add color to the room with its lush, forest green hues. In the palm of one’s hand, the buds are rock hard and truly live up to its name. With its candied flavors, Pop Rox lifts the spirits with its up to 20% THC. Although generally a veteran’s choice, the versatile strain can still be enjoyed by beginners looking to increase tolerance to its psychoactive compounds. Not only that, it can rid the body of aches and pains. Pop Rox makes for a great daytime smoke in spite of the heavy-hitting high commonly associated with Indica-dominant strains. It has a euphoric onset that instantly puts one in the mood to complete tasks. With a clear head, thoughts are free to flow and form. Thus, it is not uncommon for one to go on a creative spree – coming up with diverse ideas in a short amount of time. The feeling of productivity also creates a sense of fulfillment that leaves casual users happy from within. As time flies, a soothing body high begins to manifest. It starts in the temples and, gradually, makes its way to the body. For many, the experience is notable in the lack of heaviness in the limbs or tension in the muscle. Coupled with initial head high, users become even more motivated to go through personal passion projects. For many, the body high ends with a full-bodied relaxation. However, the freedom from mental and physical inhibition can be quite an arousing experience. For this reason, Pop Rox can be a great bedtime companion too especially when it is a night in with a loved one. Taking a whiff of a Pop Rox bod is like peering into a sachet of the popping candy itself. There is a fruitiness, reminiscent of grapes and citrus, that entices the nose. Crushed and combusted, it releases an unmatched earthy sweetness. Drawing in Pop Rox instantly reveals its candied goodness. The taste of ripe grape and citrus leave the impression of a sweet and fruity smoke. On the exhale, an earthy aftertaste lingers in the mouth. It is not uncommon for users to experience dryness in the eyes and the mouth when consuming Pop Rox, regardless of the route of administration. Although mild, it can last for hours. In case of discomfort, downing a few glasses of water will help relieve symptoms. Pop Rox is an excellent tool for relieving fatigue and depression. Its happy high enhances the mood and stabilizes unsettling emotions that can often hinder one from enjoying life. At the same time, it is also a source of comfort for users with mental health issues such as PTSD and anxiety. The mentally stimulating effects also reinvigorate the appetite. As such, users suffering from cachexia or from eating disorders like anorexia. But, before doing so, it first calms any painful turbulence in the stomach through its analgesic properties. Simultaneously, it also appeases spasms or involuntary contractions. Freed of mental and physical distractions, Pop Rox eventually takes users to bed while enhancing the quality and quality of sleep as well. The major difficulty about Pop Rox is that it is extremely rare to find seeds of the strain. However, once one does get ahold of a seed or a clone, it is quite an easy plant to grow. Because of its genetics, it has a short structure that’s easy to manage. A challenge that one may face though is the high maintenance nature of the plant. It needs to get fed and watered accordingly. Aside from that, even the smallest mistakes can kill it. For that reason, only experts should cultivate it. In the outdoors, this strain needs warm temperatures to thrive. Its sturdy stem makes it able to withstand strong gusts of wind. Nevertheless, pests and diseases might kill it if they’re left unchecked. As a result, utmost vigilance is imperative on the grower’s part. Pop Rox has an indoor flowering period of 7 to 9 weeks. Once mature, each square meter of plants will produce between 10 to 12 ounces of buds. Outdoor grown Pop Rox flowers from the last week of September to the middle of October. Normally, each plant will produce 12 ounces of buds. However, it is not uncommon for growers to harvest more depending on the growing conditions of the plant. Have you ever smoked or grown your own Pop Rox? Please let me know what you think about this marijuana strain in the comments below.